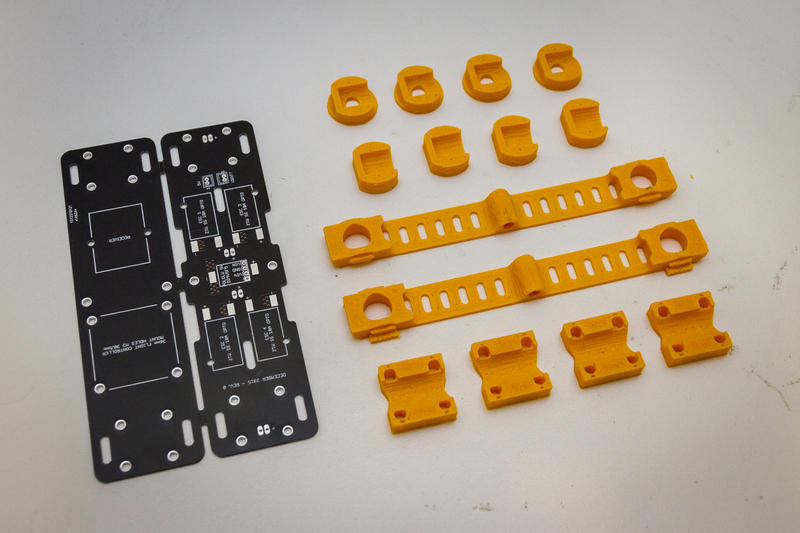 Thanks to my friend over at Steelcity Electronics I now have all the required 3D printed pieces on hand to build my 215 Hopper Quadcopter. Unfortunately I was a bit distant from the printing process as our schedules simply didn’t overlap at this time of year. I had hoped to have a closer look at it and learn a bit more throughout the process. That will Have to wait for next time. There is some cleanup and finishing work required as part of the build process but that was by design to ensure a nice fit. Also shown in the photo above is the printed circuit board as received from DirtyPCBs. They are my go to for prototype PCB’s at the moment as their prices and options really can’t be beaten so check out what they have to offer. I will also let you know that the 10cm x 10cm size they state as the limit for the higher price point is not in fact a fixed limit. This board (fabricated as a connected pair as shown) had overall dimensions of approximately 15.5cm x 8.5cm which is just over 130cm². Thats an extra 30% more area that the quoted size of 10cm x 10cm and they were made without a question or hold up. This was the first time I produced connected boards. 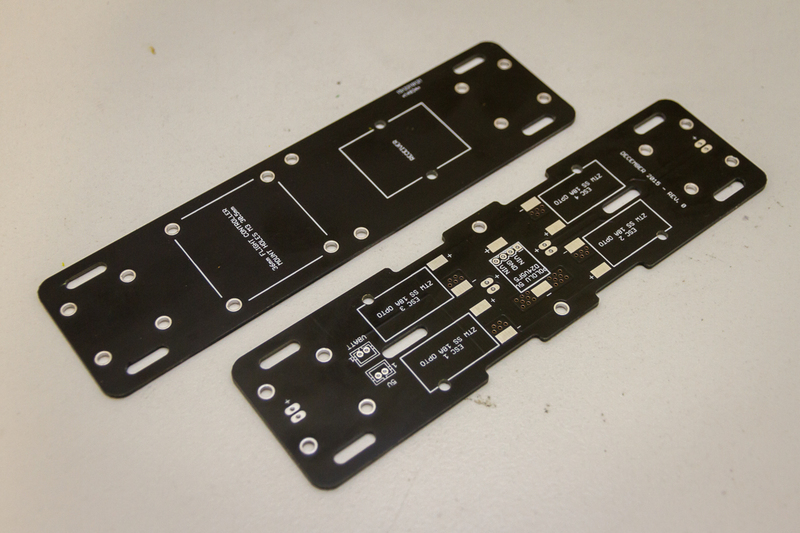 DirtyPCBs is particularly suited to this as they will happily cut internal profiles/slots at no extra cost. The snap tabs drilled with small holes approach worked very well and the edges clean up easily and quickly with a small file. I have found a couple of small errors on the board but no show stoppers thankfully. Next up will be a full bill of materials and build log. If everything works out then I will also supply the files for 3D printing should anyone wish to duplicate what I have created. That however (and unfortunately) will have to wait several weeks.